I suppose there's no fooling you by putting supermarket marmalade in Mason jars with a handwritten label? That lets me out of the exchange circuit, I'm afraid. 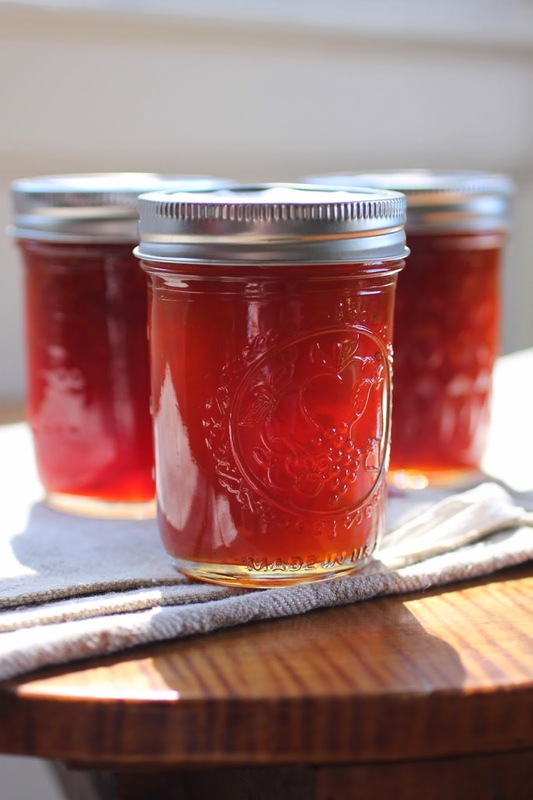 My maternal grandmother made delicious marmalades from the local fruits available, including scupperdines and muscadines, grapes that grow in the wild in parts of the South. I make it every year – each year, that is, that WholeFoods sells bitter oranges. Whether they are the correct Seville oranges I haven't a clue but they make a deliciously dark and flavorful marmalade full of peel. The Celt and I adore the stuff and shall be eating it in the morning for Easter breakfast on hot cross buns. I haven't read such a good article about food in a long time. Happy Easter to you and Boy. 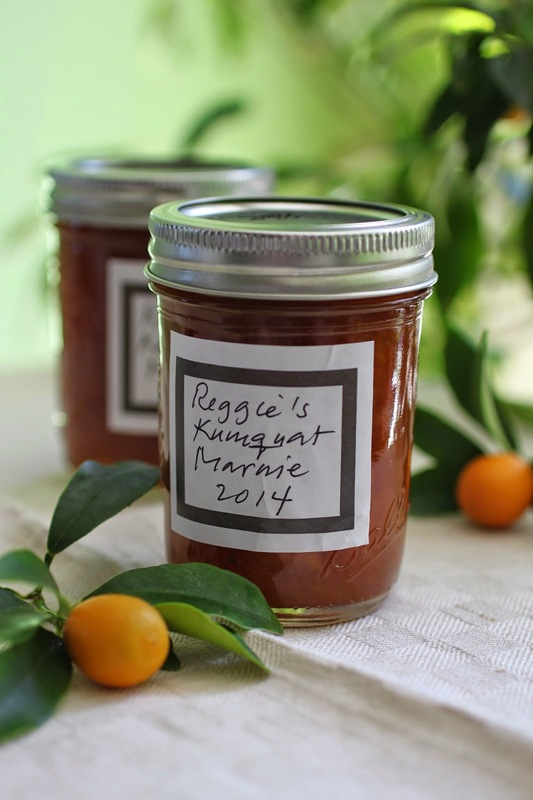 Yes, I have made marmalade - kumquat ginger. I've also made curds, jams and jellies. It's very satisfying to see them lined up in the sunlight and to listen to the lids seal with a 'plink'. I love everything about this post-- the subject, the sentiments, the photos--simply wonderful! Orange marmalade reminds me of breakfasts and after-school snacks growing up. My father absolutely adored marmalade and slathered it on generously buttered toast, pan de sal (Philippine breakfast rolls) or saltines. Thank you for taking me back to that place and time! Love it and if it wasn't Easter Sunday I'd dash out to buy some, I remember my mother making grapefruit marmalade when our grapefruit tree had an overabundance of fruit one year. In the 1970s Rose's Lime marmalade was the fashion do you remember it ? Never made, but enjoyed daily on toast and I'm not as discerning as you. The supermarket brand suits me quite well - but then I don't know the difference. I am honored (and blushing) to have played a part in your wonderful post and in your developing pursuit of the tastiest homemade marmalade. Boy did a fine job illustrating the adventure as it unfolded, and you, of course, chose the perfect words to capture both the taste and the moment. Bravo! Now that you've experienced the reward (and effort) involved in making your kumquat marmie, I'm certain it will become an annual rite of winter at Darlington House. I cannot wait to try it for myself. I've a recipe by a dear friend - a mentor in my education and collection of French Porcelain/Faience. She added Meyer Lemons to her Kumquat Marmalade. Delish! My great-grandmother used to make excellent marmalade. i made some when I was younger and somehow got out of the habit. You remind me that I had contemplated trying again. Perhaps next year. Dear friends who live on the Outer Banks do a peach/orange marmalade and it is delish. Easy and very simple. Want the recipe? Let me know via answer and I'll send by email. Marmalade and real salted butter on most things that are toasted, is quite simple the best food, and I totally agree that there is no substitute for home made. Tell me Reggie, are what you call toasted English muffins, what we refer to as toasted tea cakes? 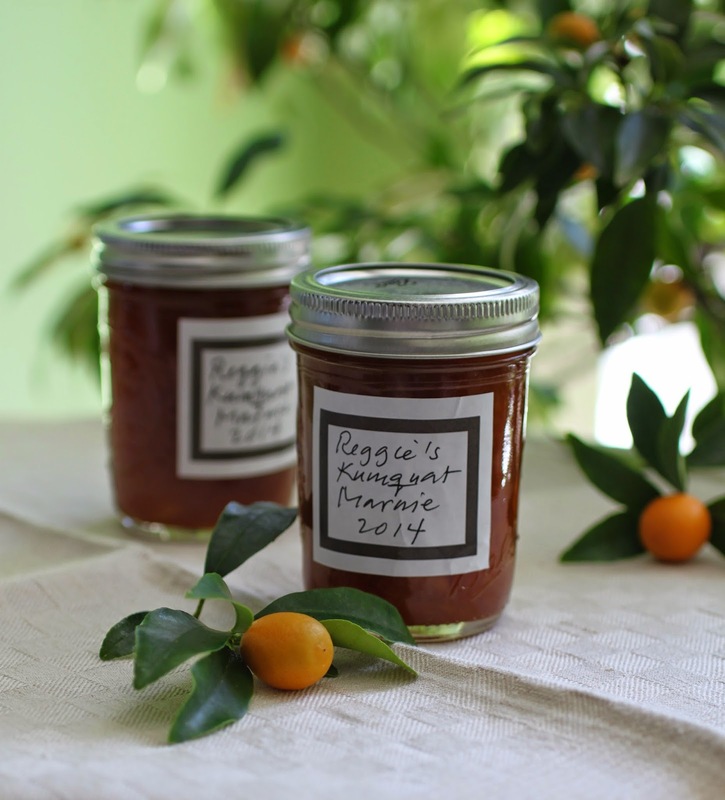 Also, can I please, please have a jar of your Kumquat Marmie? My husband is the marmalade connoisseur in this family. 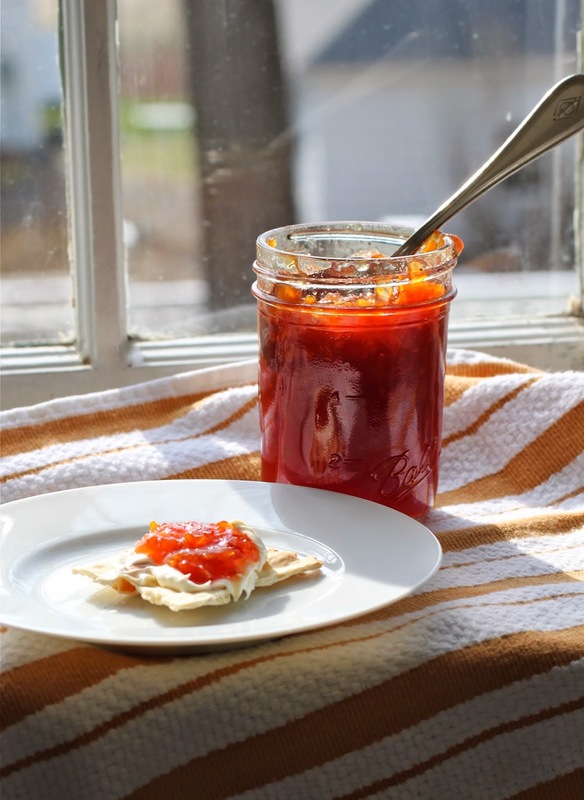 I grew up in a grape jelly family and my first exposure to orange marmalade was through him. Dundee Orange Marmalade was and is his favorite but for many years, we just couldn't afford it. And so the special gift from our daughter to her father each Christmas was a jar of Dundee Orange Marmalade. And that tradition continues to this day. I loved every word of this marvelous post. At one time I made marmalade but I cheated and used the seville oranges that are already prepared. The one thing that was special about my marmalade was the great quantity of scotch whiskey I poured into it, MrBP loved it. I can no longer eat bread so I looked at this post longingly. There is nothing better than a good marmalade on delicious toast. The colour of your marmie is so pretty, just stunning! How amazing that I should open your marmalade post just as I put the final bite of a homemade biscuit topped with marmalade in my mouth! I was the weird kid that loved marmalade, anchovies, oysters, etc. (although not together). My first Christmas as an adult I made cranberry butter, apple butter and lemon marmalade to give as gifts. They were all delicious but it was the marmalade that started me on a life-long quest for marmalade recipes. I hit pay dirt several years ago when I bought The River Cottage Preserves Handbook (Pam Corbin) at Roster Brother in Ellsworth Maine. Although the book was purchased for a rose hip preserves recipe (a Maine rituals is to harvest hips in September and take them home to VA) the book also has numerous marmalade recipes. My favorite is grapefruit and, yes, I grew up eating candied grapefruit peel. Thank you for a delightful post! Dear Reggie, You must be in marmalade heaven! I love marmalade on toasted, buttered Wolferman's English Muffins. 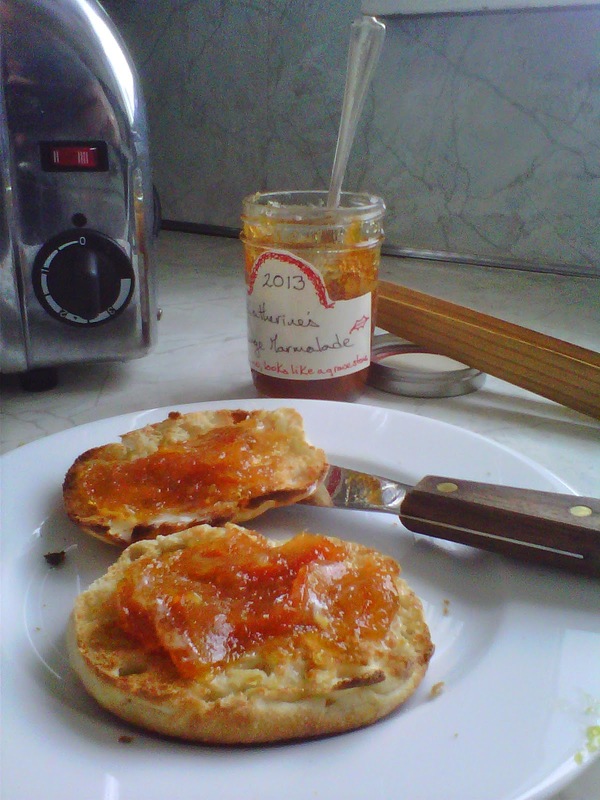 Dear friend Andrea from French Basketeer sent me some of her homemade marmalade over the holidays and it was delicious! My mother and father also love their marmie. I suspect yours is BEYOND. 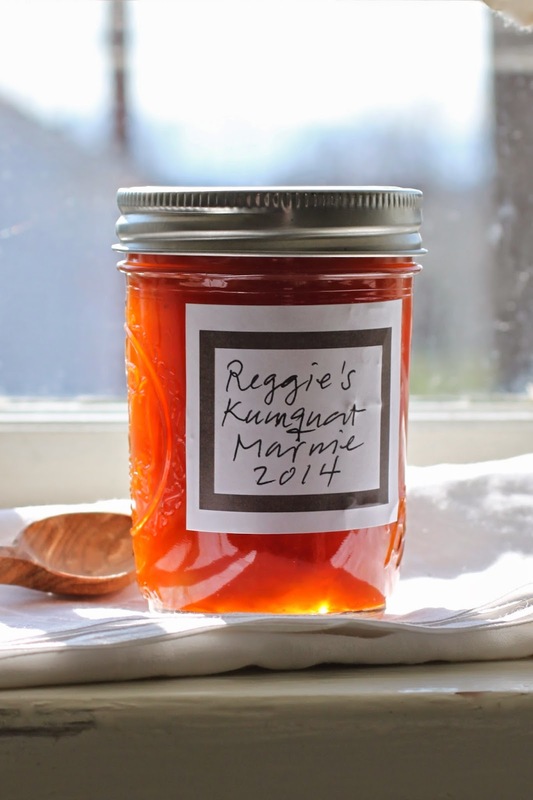 Reggie, you are truly a man for all seasons and this is the season to break out the fine jams, jellies and marmalade. For those who do not appreciate the thought and work that goes into a gift from one's kitchen, let me remind you that making marmalade is an act of love. So, I take it I won't be getting a jar this year, but may I suggest you do one of those "giveaways" so famous on the blogs now days and perhaps we can all enter our names and emails to be the grand winner of one of Reggie's prized jars. Here's hoping!! At our museum, one of the scientists who studies Abalone, is also a master marmalade maker. We enjoy his creations at tea each afternoon. Thank you so much for that comment! You are so lucky! Tea; with homemade marmalade by one of your scientists! (not to mention one who studies abalone.....I live in Santa Barbara and I have belonged to "Friends of the Sea Otter" fifty years or something.!) (he will get it)! That is a real commentary on the lovely "perks" of working at your museum! You have an artist and a "giver" as a colleague ! Major life-enhancing thing! How completely wonderful!! What a delightful post about one of my favorite combinations - marmalade and English muffins! Also I see you have the only toaster that properly toasts the muffin - Dualit! You have completely ruined me for any other marmalade! I have to say however; it is not complete ruination!! My brother-in-law's aunt; McEvoy Ranch Meyer Lemon Marmalade! (google "McEvoy Ranch and check out her Chinoiserie Pavilion!) Rarely have I envied anything! The green eyes completely took over when I spied this "entertainment pavilion!" Good Lord! And she is the loveliest darling woman! Gosh, what a mountain of Marmalade you have here. Lucky, lucky you. Here in the Motherland Marmalade is as rare as Dodo eggs and, when one does come across it, it costs the same as the economy of a small country. So, we have to stock up when visiting dear old Blighty and then it is for Oxford Coarse Cut that we enthuse and purchase! Parcels are such an excitement. Alas, nothing can be sent here to Budapest for fear of it going 'missing' in the postal system. We have every confidence that your glorious jars of orange nectar would definitely have never appeared at our door! 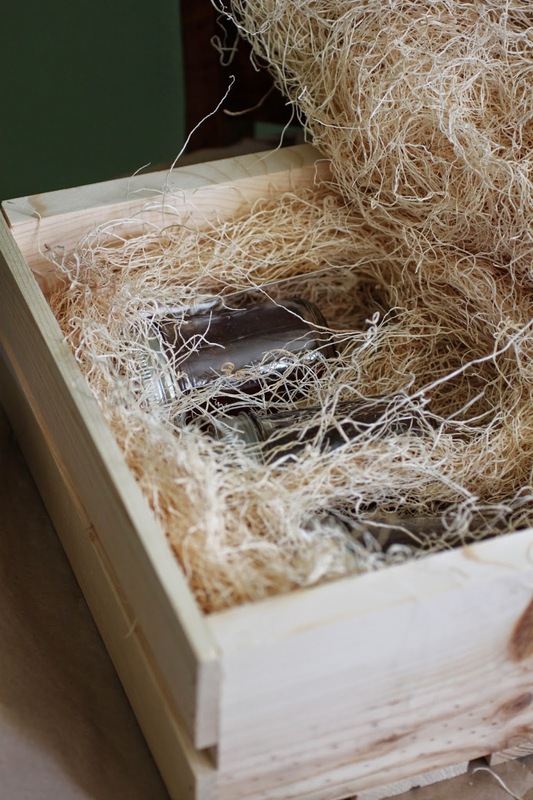 But, what delight and deliciousness these parcels have brought. Aged parents did make Marmalade but we have never tried. The whole business really does seem to be a campaign and does, it seems to us, require starting out with a ton of fruit and ending up with meagre portions when it has all boiled down! Still, we are quite sure, as we fondly remember our own parents, Marmalade making, that your own and other homemade versions are really foods of the Gods. Perfect! 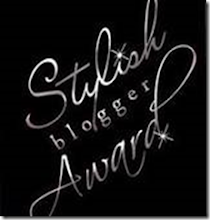 Thanks so much for the mention! I am just not plotting to use the early rhubarb for another batch of the strawberry-rhubarb preserves. I remember that Williams-Sonoma used to have a kit for making marmalade, with proper Seville oranges, as nothing else is bitter enough to impart the right taste. I haven't seen it in their catalogues for ages, but wish they'd re-start that product. Yes, I used to use the W-S kit but I've been told they discontinued it several years ago. I'm inspired by this post to try making it from scratch next autumn. Reggie, I have been reading your blog for some time now, and always enjoy your posts. I must comment, as I am very interested in making potted delights. Your kumquat marmie looks delightful, and the preserves that your friends sent made me seek out my marmalade receipts again. It is a lot of work, but don't you feel such a sense of accomplishment and anticipation as you observe the jewel like finished product? Absolutely adore the stuff; I make blackberry and vanilla jame and swap it for home-made marmalade made by a patient friend. I saw a very witty kitchen feature of a back-lit shelf of marmalade which made it glow like pots of jewels. I would steal the idea but it gets eaten too quickly in my house. I get it. Just don't be intimidated. Reggie is a "regular guy"! Frankly; he should be heading the United Nations! I took no offense as I realized PB had not caught on to the fact it was in jest. I appreciate your clearing this up as this has always been a fun place to drop in and banter with Reggie. I have made many good friends through this marvelous blog and hope to count Penelope Bianchi as one of them in the future. Indeed you did! I consider you a lovely friend! Alas; it just one of my problems with email! I am also drowning in it....and to answer another comment......I am a regular reader; not always do I have time to read all the comments! What a lovely and civilized solution to a disagreement! Don't you agree?? Reggie head of the United Nations!! Like Lindaraxa, I don't do marmalade, I detest the stuff. But those who do like it and always make their own (finding all the commercial brands too sweet) assure me that Alan Davidson's recipe, which is simplicity itself, works very well, and, as he says, after forty years of making marmalade, he has eliminated all the unnecessary frills with no loss of flavour. You will find this recipe (from an unpublished letter to The Times, in Davidson's A Kipper with my Tea (London , Macmillan Papermac, 1990, pp. 75-77). If this interesting compilation is unavailable, I can supply. A while ago, I was given a jar of Fortnum and Mason's Burlington Orange Marmalade by our mutual friend EEE who's just returned from London. It put all other commercial marmalades in the shade. And it came in a most alluring oval shaped glass container. 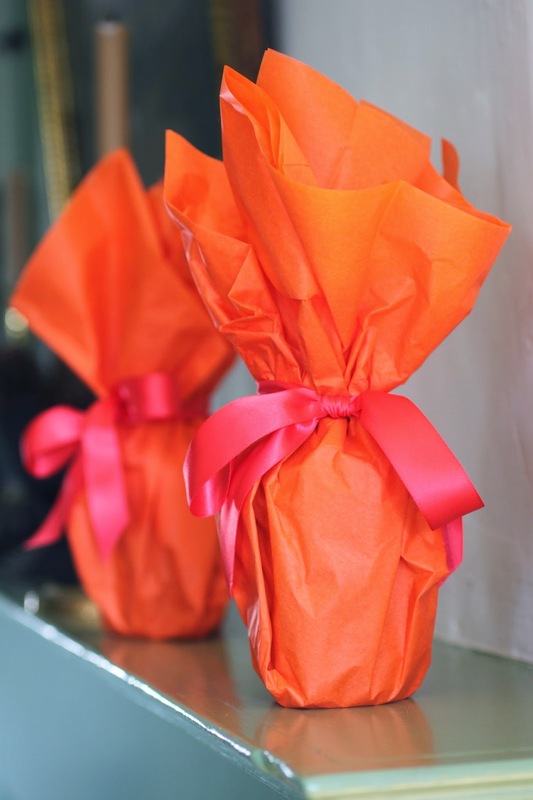 A perfectly elegant 'host gift". Reggie, you are really quite the chef! Never tried making marmalade myself, but I recently discovered a great orange marmalade made by a gentleman named J. M. Smucker, a new top-of-the-line product from the Smucker family, called Orchard's Finest--Pacific Grove Orange Marmalade Medley. 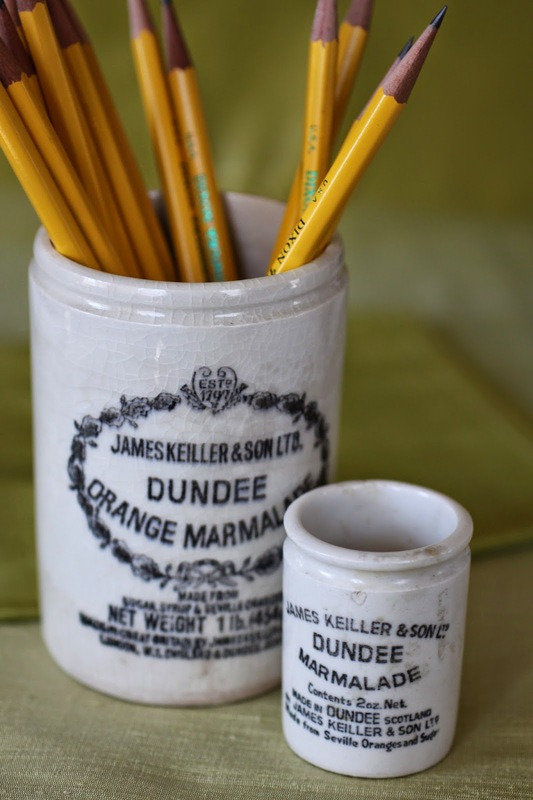 Perhaps not quite as hoity-toity as the marmalade from Keiller & Son, but I'll guarantee it's quite tasty and tangy. Made of a combination of Navel Orange Juice, Blood Orange Juice and Mandarin Orange, and, of course, orange peel, it is by far the best I've ever tasted from off the grocery shelf. You won't find it in every grocery, but it's definitely worth a try if you can find it. Continued good luck with your marmalade endeavors. The marmalade from the University Women's Club in London is fantastic. bit.ly/1ivQVZo, bit.ly/1nYvDWB one featuring a gin recommended by the wonderful Meg at Pigtown Design. Our best to Basil! Ah, a delicious subject, delightfully presented -- and happily evocative of childhood memories in a Hoosier farm house! But we made do with Concord grapes and Queen Anne cherries, dripping from their bags in the pantry sink. If you can manage a kumquat tree, then do have a go at planting quince! Quince preserves are exquisite with a Stilton or its cousins! Oh! Love a good, bitter orange marmalade with with plenty of rind. Blame my late Cornish-American maternal grandmother for that. Quebuena que tiene que estar.Y que bonita presentacion.Me ha encantado visitar tu bloc. Despues de las vacaciones de Semana Santa y la fiesta de Sant Jordi, continuaremos con las limpiezas ecológicas primaverales y esta semana le toca a la cocina espero que os guste y os sea de utilidad y por eso te invito a visitar mi blog. Si te ha gustado espero que si no eres seguidora te hagas ahora. My nanny Carmen always made the most delicious orange marmalade with fresh tropical oranges in the Republic of Panama. Thank you for your wonderful post, she just passed, 106 years old, in February and this brought back many wonderful memories. Thank you! I have a hankering for some thick doorstops of toasted bread with your marmalade, and maybe some cream cheese too. 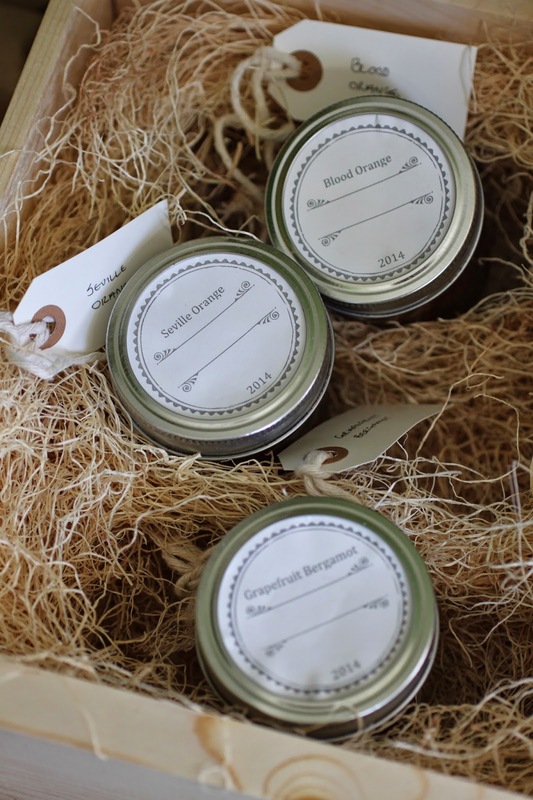 Your three little pots of jam will taste all the better for their rarity and hard work. knock knock knock... Dear Reggie where are you? I've been wondering the same thing. I miss your posts, Reggie. I too share concern with my fellow Anonymous cousin regarding your whereabouts... are you and yours well? You are missed! Can I come over for some toast? xo, N.G. Hope you are not the victim of a terrible tragedy. Yes, it's worrying. Nearly two months, by my count, since your excellent marmelade exchange was posted. It leaves us to wonder whether something is terribly wrong, or you're taking a long rest. Well I do hope you find time to observe Flag Day tomorrow. June 14th would be a day to fly the flag of Freedom. Freedom is not Free. A white clapboard house on a farm and Old Glory is quintessentially New England. Thank you, Reggie Darling, for the update. I am very relieved to know that all is well with you and yours. I'm so glad to hear that! I, too, have been worried about you and Boy. Thanks for letting us know all is well. Well, that's a relief to read. I was imagining you in some sort of marmalade induced diabetic coma. Happy July 4th Reggie, from a relatively newly minted American Citizen! Hope you and Boy are well! I just heard about your accident and am hopeful you are recovering. Sconset rotary aug 2014 contact made by suv say it is not so. what has happened ? ?You are in our thoughts and prayers-- please be well and this two shall pass stay calm and carry on well. carry on in well a way we would be proud to carry on in right? You must have finally stopped posting all this pretentious dribble. Hi Reggie. Just wondering where you are, and I hope that everything is OK with you and Boy. I hope all is well with you, and that you'll be back to posting soon---and I just met you this morning! I dropped in from somewhere twixt here and there, and the first marmalade picture had me chirping "Yummy, yummy, yummy!" 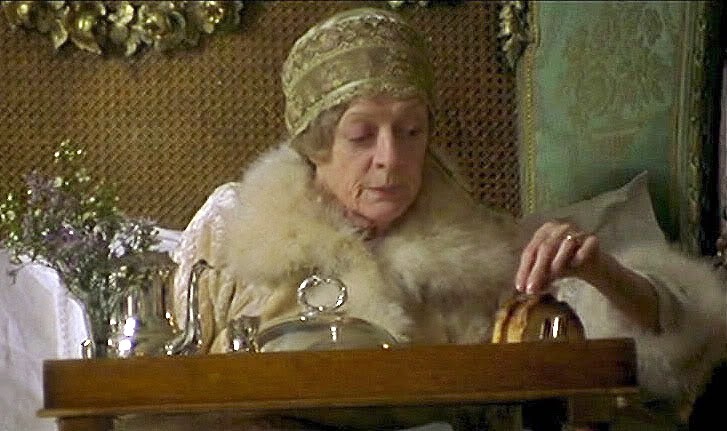 in my best Lady Constance voice, t's been a joy to read all about the process and result, and all the attendant gifting and receiving and excelsior packaging and Seville oranges, etc. A surfeit of sweet, richly-flavoured, citrusy delight, all in one day's blog. And I hope for ever more and more days of such, selfish soul that I am. I see that we have three mutual friends---ASD and the Hattatts, of whom I am inordinately fond, as writers and as friends. Oh, no! What kind of accident? I've really missed your blogs and hope you're recovering and that we'll hear from you soon. Take care! Perhaps your friend and fellow WASP blogger Lisa can help offer you some words of advice on drinking moderation. Crashing your Land Rover while drinking and driving is somewhat common for someone of your lineage, don't you think? Please come back Reggie. I have checked your blog almost everyday hoping for a new post. Don't abandon your loyal fans. what a horrible comment above. Mymother used to say, if you don't have anything nice to say, KEEP YOUR MOUTH SHUT! and yes, she did shout those last words. I just love your writing Reggie and the pleasure you show not only in buying antiques, restoring a building...but in the small things too - making marmalade. Looking forward to the next post. Dear Reggie... please do come back to the blog world. I've missed your witty, charming and informative posts. I do hope that all is well with you and dear Boy. Enough already! Time to announce your return! Come hence,now,sir. Just stopped by to see if you were Ok....Like others here...looking forward to reading your prose once again. Did you jet off to parts unknown? Did Darlington fall into a sinkhole? Did someone forget to sterilize the marmalade jars, prior to canning? Is all hope is lost? Please advise as I want to know the outcome of the garage project! I am worried about you. I hope you are just taking a blogging break. It has been 5 long months without a word from you. You are missed. But for the grace of God, so go I (and many others I am quite sure). I regret that you may be facing some challenges. Grace under fire dear chap. Get back to life as you want it to be. I am removing blogs that I follow who are not active. As a follower for years, most regretfully, you have not posted in six months. Inactivity tells me you are done with your blog. So sad. I enjoyed your posts on gracious living and felt you had a wonderful perspective! Best wishes always! Reggie, come back! Hope all is well. You are missed! Reggie, we will just have to imagine for ourselves how glorious Boy's tree is again this Christmas, and how proud you always are seeing the final ornament placed and the lights glowing across the room. Sending love and Christmas greetings to all three of you. Reggie, I miss the light you brought so often. I pray that you are well and I hope you return. Thank you. MD, can Reggie come out to play? He knows all the neighborhood's cool kids, places, and things. They are all so wonderful! I love how they are displayed on the wall all together!! I have an antique stand but sadly it's not as reliable or sturdy as the plastic bucket I generally use (with a tree skirt of course) It actually makes me a bit sad to think of this collection being split up. I just read the woefully distasteful comments here, yeesh. I'm sure that Reggie is fully innocent of such reckless behavior and was merely Darlington Under the Influence. Happy holidays to you and yours, Reggie. I still stop by these parts from time to time in the (admittedly languishing) hope that you might reappear some day. Wherever you are, very best wishes to you and Boy and Basil for Christmas and the New Year. Dearest Reggie, no need to post this, I couldn't find your email, you are very much missed, hope you and Boy are well. Very best wishes for the season. Anyone hear anything about Reggie? Is he OK? Best wishes in the new year- do hope all is well, and that we may one day see your return to this delightful corner of the Web! Reggie, please, please come back! I hope you are well, and I know I speak for your many readers (such as the ones who write above) when I say we really miss you. Dear Reggie: It's time for you to return to your blog. I do miss you, Boy and Basil. I grew up in my grandmother's house. We didn't have marmalade. Instead, we had homemade apple butter made from the granny apples picked from the apple trees on the side of the house. Still hoping for your return, almost one year since your last post. Oh you adorable son-of-a-gun, at least we now know you're ALIVE, and looking exceptionally fiiiiiine. Yes, Flo. And he's looking Fitt as a fiddle one year later. Cheers to Reggie and Boy! Ok, enough of polite reader requests. 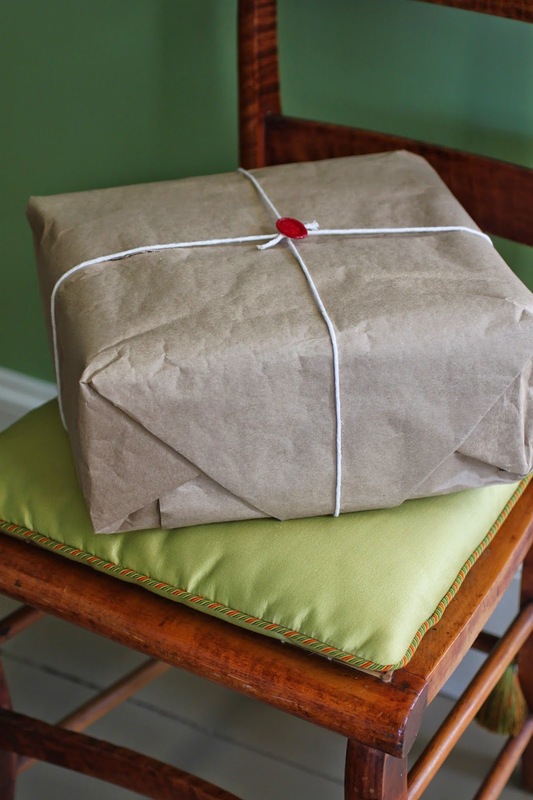 Get your you-know-what back into posting, pronto! Pigtown Design post pegs Reggie as a former blogger. Pass the tissue box - F O M E R B L O G G E R- sniff, sniff.